On 20th August the “Diciotti” Italian military ship stopped in the harbour of Catania. The Italian Ministry of the Interior did not allow the landing of about 150 “illegal” migrants on our coasts, who were on board the boat. An arm wrestle at the end of Summer between Matteo Salvini and the European Union. 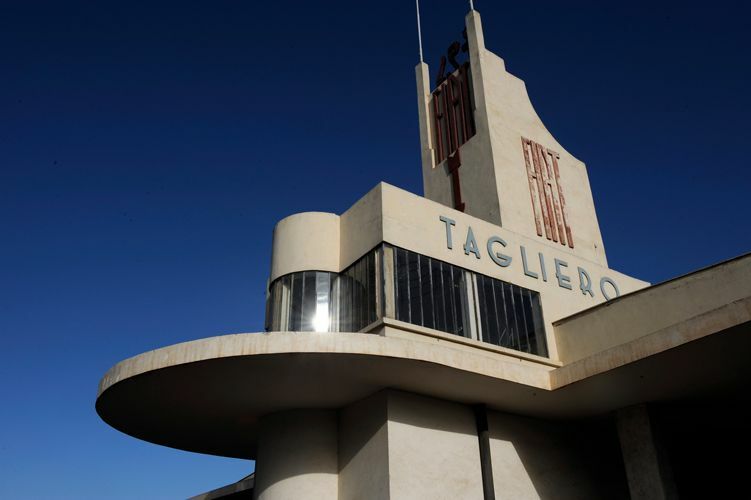 Italy, says Salvini, will no longer be the landing place for African migrants. And Europe, which is struggling to come to terms with it, rebuts with data on reception, pointing to the price of reception itself. This, however, is only one side of the question. The other side concerns migrants. Who are these men, women, boys, perhaps children, aboard the ship Diciotti? Do they emigrate to look for a job, ie. are they “economic migrants”, or do they escape from wars and persecutions. To establish this, even before geopolitics, it is necessary to know where they are coming from. What Country do the migrants on board the ship Diciotti come from? According to Daniela De Robert, a journalist and delegate of the guarantor for people, who are detained and deprived of personal freedom, they are almost all Eritreans. She could establish this on 23rd August, getting on board the ship and talking with the migrants and crew for three hours. They are Eritreans, she explains, so they have an almost automatic right to international protection. We remove the word “almost” to understand the reason why there are one-hundred and thirty Eritreans on board the ship Diciotti docked at Catania. It is Eritreans, in fact, that America decided to give its support to in 2012 so that they would leave their Country. The former president Barack Obama stated, referring to Eritrea, that America would co-operate with groups helping women and children escape from the hands of slave drivers. Adding to this that the support given to other countries, in this respect was starting to give results. From that moment onwards, being Eritrean or declaring to be so has become the master key to enter Europe. So given such premise, it may not be surprising that there were many Eritreans on board the ship Diciotti. To be sure of their nationality, however, it is necessary to talk to them, in the Tigrinya language and, considering that many Ethiopians also speak Tigrinya, one must be able to distinguish their different accents. People who were born in Eritrea, but who have always lived in Ethiopia and come from there, will speak a different Tigrinya than those coming from Eritrea. Did mother tongue cultural mediators and interpreters get on board the ship Diciotti, capable to unravel the knot of the migrants’ origin? They could have. But it was not important for anyone to find out their actual country of origin. Quite the contrary. If the migrants are Eritreans two results are achieved. The first one is against Salvini, his government and his rage against marginalized people, ie. migrants, in this case. The second one is against Eritrea, a country from which people have been fleeing for years and on which it is easy to find dedicated reports on the web. On 25th August Matteo Renzi, former leader of the Democratic Party, wrote a post on his Facebook page regarding the Diciotti ship, “there are 150 Eritreans fleeing from war” #letthemdisembark. And a few days later they did in fact do so. But is there a war to flee from in Eritrea? Not really. In fact, there has been peace since 9th July. But the Italian press and politicians were so interested in the Eritreans on the Diciotti ship, they have almost ignored the historic embrace between the Eritrean president Isaias Afwerki and the Ethiopian premier Abiy Ahmed. on July 9th the two leaders by signing a declaration of peace and friendship, put an end to a situation of instability and almost war that had dragged on since 2002. In fact, already in his inaugural speech, Abiy Ahmed extended his hand to Eritrea, declaring that he wished to accept the terms of the Algiers Agreement (2002), in favour of Eritrea. Thus closing the war on the ownership of the border territories that broke out in 1998 and has remained suspended until now. Suddenly, international analysts write, there was a break though in the situation between Eritrea and Ethiopia which seemed unresolvable. For Eritrea, a new phase of history has begun. Now everything is being called into question. The sanctions established in 2009? Obsolete, says the UN. Military or national service? An emergency solution for times of war, they declared in Asmara. In just few months, which are worth-while recalling, the political scenario of the two countries has changed drastically. In April Abiy Ahmed became the Ethiopian Prime Minister. After years of discontent and violence, which had become unsustainable in the end, the TPLF ruling party, which has predominated since independence though it represented the Tigrinya minority ethnic group, left the government. The new leader Abiy is an Oromo politician, supported also by the Amhara people, so he has the country’s majority on his side. The internal situation in Ethiopia, however, is not simple. On June 23rd, in fact, during a rally in the central Meskel Square of Addis Ababa, the Tigrinya opposition threw bombs at the stage where Abiy was about to speak, causing deaths and injuries. However, the prime minister commented, while he was giving blood for the injured, that the new Ethiopia he represented would not be intimidated. To withstand the burden of internal hostility, Abiy had to lighten external tensions, starting with Eritrea. Therefore a new policy of détente and, last but not least, a new communication were born. The journeys of the two leaders in July, first Abiy to Asmara, then Isaias to Addi Ababa, are told live, minute by minute. People participate enthusiastically. Happiness in both countries is skyrocketing. On 9th July, Asmara is the capital of change. In the following days, as established, telephone lines were reactivated. Then embassies were reopened and the Ethiopian Airline flights resumed. Infrastructures, ports, airports, everything would connect the two countries, facilitating trade and commerce. On social media people commented, tweeted and wrote posts. Because it is not true that in Eritrea there is no internet and that people are quiet. Eritrea and Ethiopia have found peace again, on their own initiative. What the past American governments did not manage to achieve, by supporting only the Ethiopian side, is happening now thanks to two leaders, who have now found political harmony. The US old guard, who had created obstacles rather than removing them, no longer exists. The only exception is the pioneer of the new course, Ambassador Donald Yamamoto who visited Eritrea last April after ten years of absence. Back to the Eritreans who were on the Italian ship a few days ago, for sure they did not leave Asmara on 9th July. They are the victims of an existing, difficult internal situation. The condition of not peace – not war that has dragged on for twenty years has taken away prospects for young people. Just as the red carpet laid for their exodus, encouraged emigration above all in the years 2014-2016. Now there is a long queue of people who are victims of an inhuman traffic and who are in Libya waiting to be boarded towards Europe. A journey, for which they have already paid huge sums and risked their lives. A journey, which has often lasted for years and which seems impossible to stop. Many of the Eritreans who arrive in Libya come by roundabout means, from Ethiopian refugee camps which, after the peace declaration, will be dismantled. In the last few days German Minister for Economic Cooperation and Development Gerd Müller visited Asmara. They talked about migrants, too. Germany received 15.000 migrants this year. At the same time in an interview to a German television the Eritrean foreign minister Osman Saleh, repeated that for Eritrean people who have fled abroad the door of their own Country is never shut. They can all return without suffering consequences. Eritreans are “economic migrants”. That is, as it was often stated by Western diplomatic sources within the Country, they leave to look for a better paid job in Europe, rather than accepting the opportunities they have had so far in their homeland. 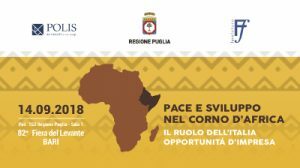 Back to the migrants on board the ship Diciotti, if one the one hand we do not know if it is true that “the majority of them is of Eritrean origin”, it is surely false to say that “they are the second largest group for number of entries in Italy”. Actually, according to the UNHCR, the Eritreans who arrived in Italy between January and August are less than three-thousand people against 66.372. That is they are the eighth group out of the ten groups considered. And this is including also Ethiopians , who do not appear in any of the ranking lists made. It is true that Article 10 of the Italian Constitution and the Geneva Convention in 1951 and later in 1954, protect the people who are persecuted for their religion, race and opinion. But this is not the case with Eritrea, even if Italy pretends to ignore it. In Eritrea many ethnic groups coexist peacefully and different religions are practiced. Above all, Christians and Muslims live together peacefully. 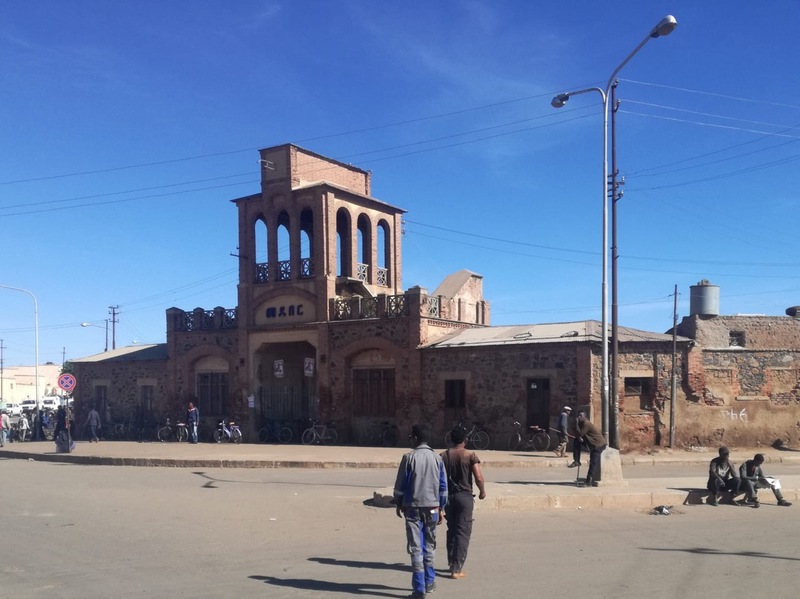 The restrictions which Eritrea has had to face so far are the result of a long state of war with a neighboring country, which is much larger than Eritrea and which received much more help from abroad. Today in Eritrea we look forward to a better future, full of opportunities. A future that primarily concerns young people. Because between Eritrea and Ethiopia there isn’t “truce”, as someone would like, but peace, which will obviously make “international protection” unnecessary. There will not be a need for protection. People will choose to live and work in their own country or in closer countries. In any case, Eritreans and Ethiopians will no longer be the victims of smugglers and traffickers of human beings. None of them will need to be rescued at sea. Thanks Marina may be you are the only Italian journalist understand Eritrean case. The other journalist do only FOTO copy fake news.